AT41 604 ASTRAL Drive, Cole Harbour (MLS® 201810320): Dreaming of lakeside living? 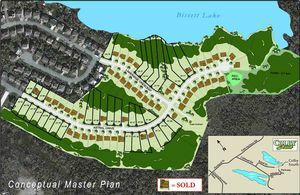 Make that dream a reality with one of the few remaining lots on Bissett Lake in prestigious Colby South. With nature at your doorstep - kayak, canoe, fish, bird watch from the comfort of your own back yard. This lot is fully serviced and pad ready. Call today to find out how to make this dream come true!